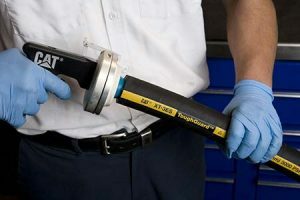 Hoses are an integral part of any hydraulic component, and often they’re the first to go when wear develops over time. Fortunately for busy government agencies, Gregory Poole offers fast and reliable hydraulic hose repair, replacement and other services. You’ll find we have a comprehensive selection of hoses and couplings in stock, and can quickly turn around any job. We know how important it is for our government clients to receive fast, quality service when something is wrong with a valued member of their fleet or another asset. Call us today to learn more about your service options. At Gregory Poole, going the extra mile for our clients isn’t just an idle promise. We stand behind our words and commitments, particularly towards the government contractors who are working hard to build our infrastructure and keep Americans safe.